Welcome to my weekly series: Book Club Picks. This week, I am sharing a list of lists. As a member of a book club, I find it challenging to choose a decent list of books for my group to pick from when I host. In our case, the host always offers three options and then the group votes for the book we'll actually read and review that month. This means that the hosts don't just come up with one book; they have to come up with three! Following are several book lists that will hopefully provide plenty of choices to book clubs. Sue at Book By Book has a great list of award lists on her blog. She shares links to the short lists, long lists and winners of several book and literary awards. This Simple Home blog has a list of favorite books of 2013 that includes some great choices for book clubs, including nonfiction and fiction selections. Wired has a great list of the top 10 books of 2014 that would all work well for book clubs. Mom's Small Victories blog has a list of top 10 book suggestions for book clubs that features several great choices. The LitLovers Top 50 is a list of the most popular books on LitLovers, a popular website for book clubs and avid readers. The Golden Spoons blog has a list called books that may become my favorites and every one of them would be great for book clubs to discuss. Hot Eats and Cool Reads blog has a list of 5 summertime favorites that are all about families, a great topic of discussion for book clubs. 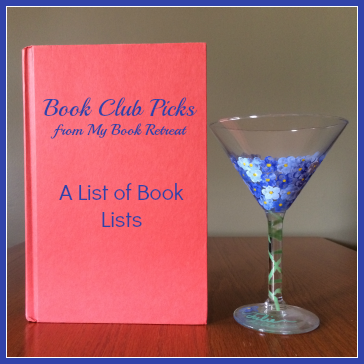 Do you have a list of books that would be great for book clubs? Share it below in the comments. Oh, boy, what a great post, Julie! So many wonderful resources to check for ideas! And thanks for including my post among all these other great ones. A local friend was just looking for ideas for her book club - I'm going to pass along your post. Oh, and I forgot to mention - that link I included in my comment is for a 2012 post on Top 10 book club picks for those who want to look past recent releases.